Prabhas is one of the finest actors Indian cinema has recently been introduced to. Not only did fans love his portrayal in his blockbuster movie BaahuBali, but post the success of it, Prabhas became a household name. On Tuesday, the actor turns a year older and his fans can’t wait for his next movie release. 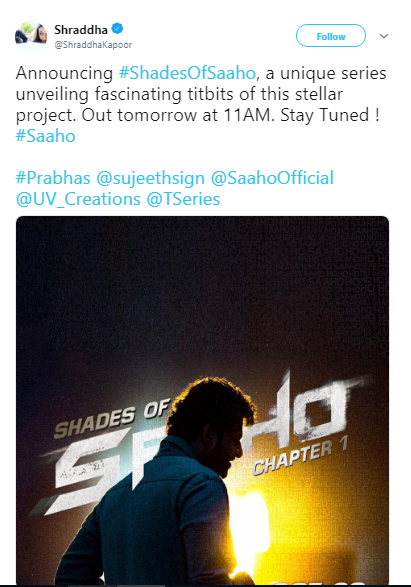 The hashtag, Shades of Saaho, is also one of the top trends on Twitter, so far.